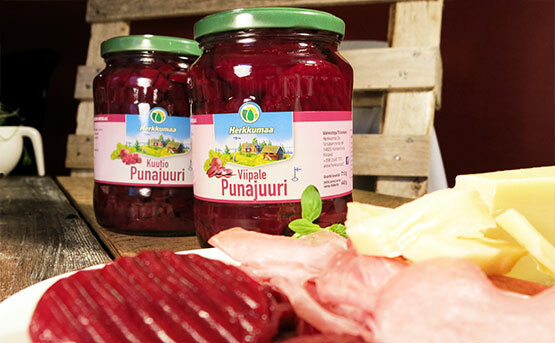 In our products we preserve the Finnish summer, with nature’s own pure flavours. In our wide range can be found tasty preserves, delicious jams and juices and condiment sauces for every connoisseur treat. For the products of Herkkumaa are selected only the highest quality raw materials that have matured in the fields of selected producers under ideal conditions. Pure flavors arrive at Finnish dinner tables preserved in genuine spices. The recipes of Herkkumaa offer tastes to remember. The recipes of Herkkumaa pay respect to Finnish traditions and tastes. The three generations-long experience of our family business in food preparation provides the raw materials with the eternal summer. Welcome to the world of flavours!